Have you found an online vendor selling Flor de Cana 18-Year? Flor de Caña 18-Year Centenario Gold Rum is produced in Chichigalpa, Nicaragua. The rum is crafted using column stills and is then aged for 18 years. The 18-year variety is the oldest rum produced by Flor de Caña, a brand owned by Grupo Pellas and founded in 1890 Francisco Alfredo Pellas. A 5th generatino Pellas family member still runs the company today. ...it needs to sit in your glass for a few minutes, swirled every now and then, to help the alcohol vapors make way for the wonderful flavors to follow. Liquid butterscotch, naturally sweet and oaky. It's really wonderful straight up. The second glass is even better. If you prefer sweetened rums you may hate this stuff at first, but letting it breathe will bring you pleasant and surprising happiness. Can't help it. There is a rumbook out in Danish, and now I am collecting all 40 rums in that book. 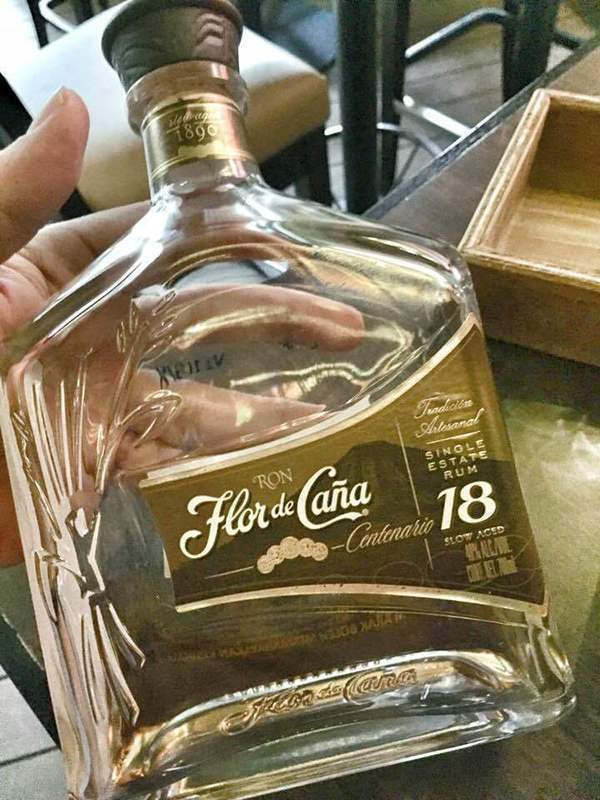 I picked up the Flor de Cana 18 when I was in Grand Cayman particularly due to the marketing signs mentioning the many Gold and Silver medals won in competition. I found it to be a wonderful rum with great balance and smooth finish. The subtle mix of vanilla and caramel were the first scents that come across, with hints of toffee and butter. To the taste, definite vanilla, oak and toffee flavors linger on the tongue with an easy after taste and finish. I have had this wonderful rum both on the Rocks, and also with Diet and regular Coke with a lime wedge, and the taste is incredible. Can't go wrong whichever way you prefer to induldge. Was very much looking forward to this one from having read some of the other reviews but sadly a very disappointed experience. The aroma is very nice and that's where all the niceties ends for me. The initial tastes gets quickly overwhelmed by the heavy oak and bitterness. Trying to stick with it and left it to breath for a month or so but still the oak tannen is drowning all the other flavours. I like a good dry rum but this is just in a different league and not in a good way. It's like it's been left too long to mature in the barrel shifting the whole balance of flavour to a disappointing level. A deep gold color visually exhibits what your taste buds are about to experience. Without disappointment, it delivers a rich and smooth "old world" mixture of molasses, oak, butterscotch, spirits and very subtle hints of aged bourbon. Attack this experience with a snifter to maximize your intake of the fine aroma, as it would be sinful to even think of having a mix or cola in the same room. Actually, this 18 year old Flor de Cana is a bit harsher than it's 7 year old younger brother. Why pay a little more than double? Just to get a pretty bottle? Update one month later: I have tried like hell to like this as a sipping rum, but even letting it breathe in the snifter or the bottle does little to improve the flavors other than to remove the alcohol burn. Save your money and get the best from the Central American Caribbean with Flor De Cana 7. Update March 9, 2018: Adding ice cubes does nothing to improve this horrible rum. Don't be fooled by the otherwise high ratings. This rum is really crap! Sorry, but I always tell it like it is! I have just lowered my rating from a 6 to a 4. Flor de Cana needs to quit while they are ahead at 7 Anos. Only one other premium rum showed an epic fail for me, which was Mount Gay XO that tumbled from a rating of 8 to a 3. I love this Rum, smooth yet spicy, sweet on the palat, lingering burn in the finish! I like rum a lot, but I have never wanted to drink it straight. 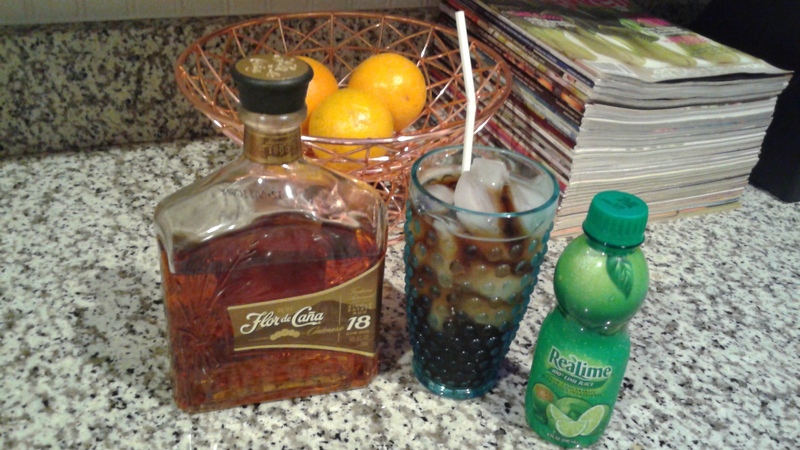 I prefer it in a (diet) Cuba libre. This rum is the smoothest rum that I have ever tasted. Nice chocolate smell without alcohol sharpness. Taste is more powerful to tongue. This was a gift and one I very much appreciated it to the last drop, as others have stated it's best to let this one breathe before sipping to let the flavors come out. A complex dry flavors and a very interesting length. A true 18 years of age , no solera and it shows, highly recommended. Aromatic nose with l vapor of alcohol. Mouth is smooth. Tail is progressively strong and flavourful. Tried this on the recommendation of drier rums. Pretty good. A slight sweetness with what seems to be hints of orange zest (I think). It does have an oak wood flavor to it but not overwhelming. Definitely will make a fine sipping rum for some. Not for me, however. I like it with my Coke Zero. However it's an overall excellent rum. A must have for a well rounded rum cabinet. La bouteille n est plus la même mais le rhum lui est toujours aussi somptueux! Un nez complexe, une mise en bouche où une multitude d arômes explosent (vanille, bois, fleurs...) et une longueur très intéressante. Un vrai 18 ans d'âge, pas de solera et franchement ça se sent ! I tried in Nicaragua all of Flor de Canas. If you want to compare 7, 12 and 18 YO you can see difference with colour and nose. But taste...that's for me surprise...sooo little difference even between 7 and 18? I don't know what thet do wrong....but something goes wrong there. Noth worth to pay that price. Flor de cana 18 is a low sweetness, light rum with some coarseness to the aftertaste. An okay sipping rum as long as you let it breathe. Not the best flavor at first but decent vanilla, oak and toffee flavors aftertaste and finish. An okay sipping rum as long as you let it breathe. Not the best flavor at first but decent vanilla, oak and toffee flavors aftertaste and finish. Not recommended for beginners or people that like sweeter rums. I much prefer the 12 year. The 6 years difference seemed to make the interesting notes of the year vanish.